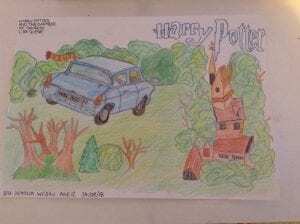 My artwork is a scene from Harry Potter and the Chamber of Secrets. It is the scene where Ron and Harry get stuck at platform 9 and 3/4 when they are just about to get on the train. They cant get through the wall so Ron and Harry take the flying car to get to Hogwarts. 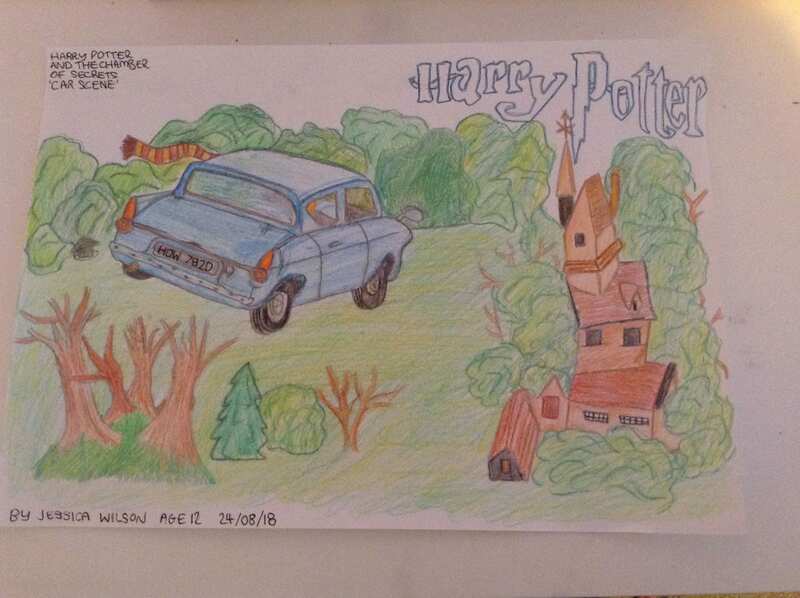 I drew the flying car as they are flying to Hogwarts castle! I love the Harry Potter books but this one is definitley one of my favourites! What a great drawing Jessica, you’ve got a good eye for perspective – and that’s a very tricky thing to do well. I agree, this is one of my favourite Harry Potter books too!